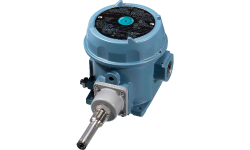 United Electric Controls’ pressure & temperature switches, sensors, gas detector and transmitters are designed to protect your valuable oil & gas assets, withstanding the toughest environmental conditions and industry challenges. From offshore platforms and subsea wellheads to onshore drilling rigs, refineries and pipelines, UE has developed highly dependable and accurate instrumentation compliant to many worldwide approvals and standards. Supported by a global distribution network, UE can deliver products where and when you need them, helping to keep your process online and your workers and environment safe. For further information read our Oil & Gas Overview. 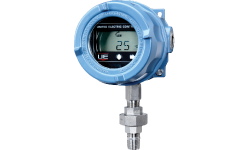 Whether you are involved in a conventional or unconventional oil & gas play, UE understands the importance of reliable pressure and temperature sensing devices for well automation and optimization. 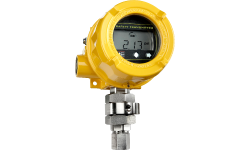 Rugged 316 stainless steel pressure transmitters monitor tubing and casing pressures while stainless steel RTD’s with a Teflon coating protecting against moisture, monitor gas line temperatures. UE’s unique Sensor Box allows service personnel to build an emergency thermocouple or RTD in minutes minimizing process downtime! The offshore environment brings unique challenges, whether the Gulf of Mexico or the North Sea – which is why UE has designed compact, all welded, hermetically sealed 316 stainless steel pressure switches and transmitters specific to panel mounting. Resisting salt spray and humidity, these compact cylindrical designs maximize your panel space while monitoring and controlling critical off offshore functions like high pressure wellhead monitoring and controlling subsea valves. UE electronic and electro-mechanical pressure and temperature switches and sensors are protecting pumps and compressors, as well as providing flow line monitoring on thousands of miles of pipeline. Tough, field-proven designs supervise unmanned pipelines and stations to prove flow, detect leaks and monitor lubrication oil. Electronic switches with 4-20 mA output also retransmit the process variable to control station personnel. Local display capabilities provide programmable field adjustments, switch status and fault detection.